Royal Caribbean's fleet of cruise ships boasts an amazing variety of thrilling activities, spectacular entertainment, mouth-watering dining, not to mention award-winning kids’ and teen’s clubs, spacious, comfortable accommodation and sailings that take in some of the most incredible destinations in the world. So whether you’re looking for a fun-packed family adventure, a relaxing couple’s retreat or anything in-between, it’s waiting for you onboard one of our exceptional cruise ships. Celebrity Cruises® is consistently voted one of the top cruise lines globally. They work hard to bring guests unforgettable on-board experiences, the most luxurious accommodation, award-winning gourmet dining and an unbeatable choice of hand-picked destinations. The stylish ultramodern ships in the MSC Cruise fleet are more than floating resorts, they’re like floating cities on the sea. And you live in the centre of town, with every attraction just a short stroll away - real Italian cafes, boutique and duty-free shopping, a vast choice of freshly-cooked authentic Mediterranean cuisine, a variety of specialty restaurants serving delicacies from around the world, a jogging track, mini golf, mini-bowling, basketball, tennis, swimming pools with whirlpool baths, sun decks and solariums, a gym, spa and beauty treatment centre, kids and teens’ clubs, virtual world gaming, designer bars and lounges, live music, a disco and a Broadway-scale theatre. One of the best-known names in cruising, Princess Cruises first set sail in 1965 with a single ship cruising to Mexico. Today, the line has grown to become the third largest cruise line in the world, renowned for innovative ships, an array of onboard options, and an environment of exceptional customer service. A recognised leader in worldwide cruising, Princess carries 1.7 million guests each year to destinations around the globe ranging in length from three to 114 days, allowing them to see the world and come back new. There are so many amazing things included in a P&O Cruise holiday - every day brings a fresh new surprise. With so much taken care of, you'll find yourself drifting into that blissful holiday mindset in no time at all. Whether you'd like to rest and relax completely or get involved in some of the optional activities on board, its easy to find your own pace. The beauty of it all is that your experience will never be quite the same as anyone elses, though discovery, music great food and conversation are all sure to play a part. Cunard has carried guests across the great oceans and to all corners of the globe in unparalleled style aboard the world famous Queen Mary 2, Queen Victoria and Queen Elizabeth. The most glamorous names of yesterday and today have made champagne toasts in her salons, waltzed the night away in Cunard's grand ballrooms, savoured grand feasts in her dining rooms, and whiled away hours immersed in fascinating conversation on decks. Cruise & Maritime Voyages specialise in providing no fly cruising holidays aboard smaller to mid-sized ships with a traditional British cruise experience. They believe these vessels offer a more leisurely and friendly 'home from home' style of cruising and maritime experience combining attentive and friendly service with stylish entertainment, delicious cuisine, daytime activities, guest speaker and craft programmes on most sailings. Revel in spacious cruise ship rooms, breathe in expansive views and relax in easy elegance. Rich woods, beautiful floral arrangements and handsome furnishings create an inviting atmosphere for your wonderful cruise vacation. With elegant fine dining and enriching activities, Holland America Line's cruise ships welcome you aboard to discover timeless cruising, refined for a new generation. Since 1966, when we pioneered the very first Caribbean cruise, Norwegian Cruise Line has been the industry leader for innovation. From the first cruise line private island to Blue Man Group to our award-winning Freestyle Cruising, NCL do things differently. You'll feel it with the passion and dedication of every team member you meet, you'll see it in their commitment to the environment and you'll know it when you experience the best cruise vacation you've ever had. Come aboard the fleet of 13 ships and let us show you what Freestyle Cruising® is all about. Looking for more than just another week away in the sun? A holiday that lets you completely unwind while offering up ever changing sights, sounds and adventures? Then step aboard a Marella Cruise where unparalleled service and unforgettable destinations, combine to create a holiday to remember. Step on board Fred Olsen Cruise Lines' friendly ships and start your holiday with a smile. As these ships are smaller and more personal, you’ll feel relaxed and at home straight away and will soon get to know the crew and your fellow guests. What could possibly be better than seeing the world, except enjoying it with new-found friends? Each of these beautiful cruise ships has its own distinct personality, but what they have in common is the comfort and great service that we are so proud of. From great bars and restaurants through to entertainment and relaxation, no matter where your cruise is sailing you can be rest assured that you are in for an unforgettable journey. Regent Seven Seas Cruises® is recognised as one of the world's premier luxury lines with features such as 6-star, all-suite, all-balcony ships and superior space and service ratios. However, even more compelling than the quality of Regent ships is the adventurous spirit of RSSC - the imaginative itineraries, unique shore excursions and land tours, and the other innovative services we offer discerning guests. Destination Services features personalised services and programs that enable you to travel at your own pace and explore those things which interest you the most. From unique, pre-bookable adventures ashore to exclusive pre- and post-cruise land programs, the world is quite literally in the palm of your hand when you travel with Regent Seven Seas Cruises®. Filled with an array of diverse and exotic destinations, the world awaits your discovery. There is simply no better way to explore it than aboard the elegant ships of Oceania Cruises. Their unique itineraries are wide-ranging, featuring the most fascinating destinations throughout the world. Regatta, Insignia, Nautica, Sirena, Marina and Riviera are all intimate and luxurious, with each calling on the world’s most desirable ports, from historic cities and modern meccas to seaside villages and faraway islands. On a voyage with Oceania Cruises, each day offers the rewarding opportunity to experience the history, culture and cuisine of a wondrous new destination. Costa Cruises is an Italian cruise line with 27 cruise ships in service and 6 next-generation ships planned to join the fleet by 2021. The main routes covered by Costa includes the Baltic Sea, Mediterranean, Northern Europe, Caribbean, North and Central America, South America, Arab Emirates, Indian Ocean, Far East and Africa. 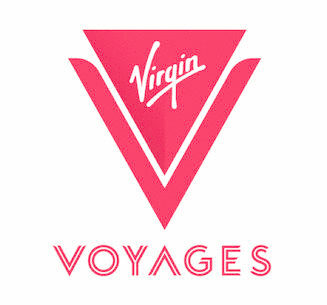 Virgin Voyages is targeted at non-cruisers who are willing to give cruising a try, with a plan to finish 3 premium ships by 2022 . The first to be complete, Scarlet Lady, is scheduled for delivery in 2020. On board the adults only Scarlet Lady, guests can expect 20+ quality restaurants, including some favourites from NYC, unlimited wifi, group workouts and fitness, entertainment with all the frills, no dining cover fees and of course plenty of opportunties to focus on well-being.